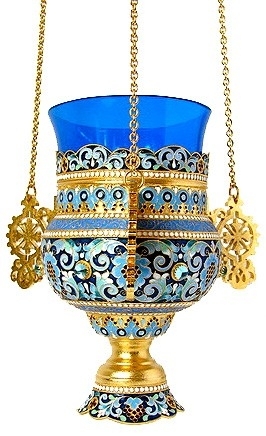 Orthodox hanging vigil lamps are some of the most extensively used religious artifacts used for illuminating worship spaces and icons in Orthodox Christian churches. 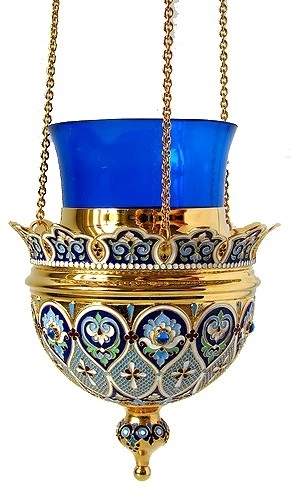 Istok Church Supplies has a broad collection of brand new hanging vigil lamps that are made following centuries old traditions and designs. 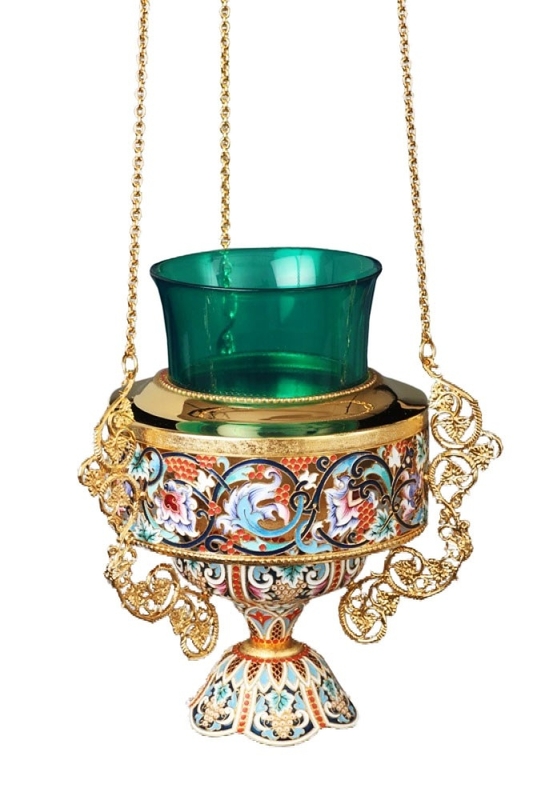 A hanging vigil lamp consists of a wall mounted bracket with three metal chains attached to a holder, usually made of brass, which contains the glass bowl where oil is filled to light a floating wick. It is generally hung in such a way that the lamp is positioned in front of the icon to be venerated. 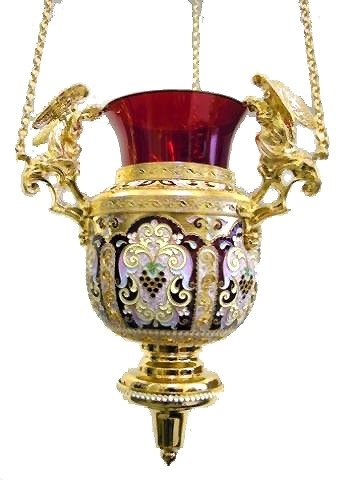 The hanging oil vigil lamps for sale offered by Istok Church Supplies are not only functional but also lavishly adorned in accordance with the traditions of the Orthodox faith. From simple and elegant gold gilding to elaborate enamel work, intricate filigree work and exquisite hand painting, customers can find these devotional items in a wide range of stunning designs. Vigil lamp holders are made from high quality brass that continues to provide value for many years. Hanging vigil lamps are available in different sizes so customers can choose products that appeal to their aesthetic senses and functional requirements. 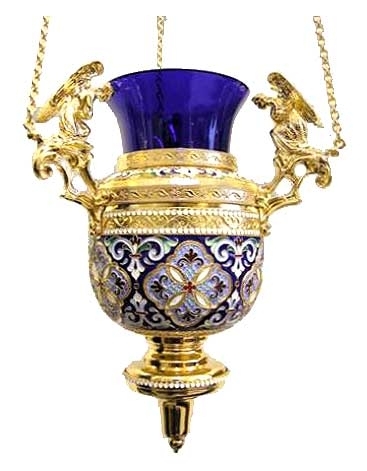 Each item features superior quality workmanship and is an indelible addition to any liturgical supplies collection. These lamps would also be suitable as church gifts and donations. They are shipped in ready to use condition and only require simple wall mounting before they can be used. Our Orthodox hanging vigil lamps are designed to add beauty and functionality to Orthodox Christian worship spaces. 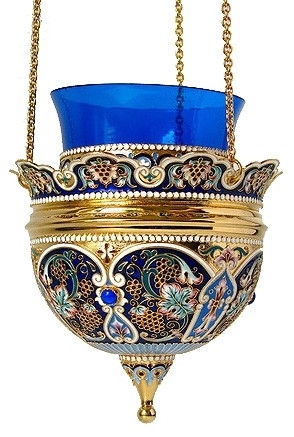 The combination of richly colored, heat protected glass bowls and lustrous metal holders serve these twin purposes in the most befitting manner. Customers the world over depend on Istok Church Supplies for high quality and authentic supplies at reasonable prices.